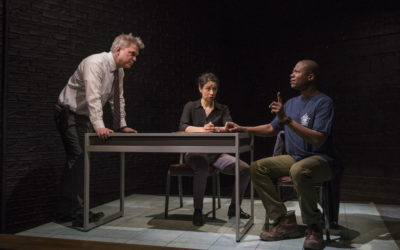 Penned by Emmy Award nominee Keith Huff (Broadway’s A Steady Rain) and directed by Gary Griffin (Broadway’s The Color Purple): late one night, two burnt-out violent crimes unit detectives try their damnedest to close the puzzling murder of a CTA employee. What should be a simple open-and-shut case, however, evolves into a horrifying mystery and unearths a legacy of violence stretching back years. 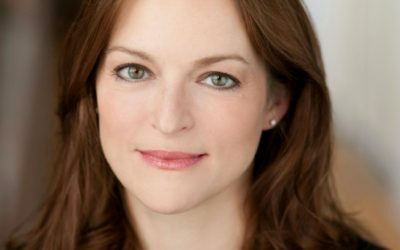 To learn more, read our Artistic Director’s note and Backstage Guide. Additional show on 2/21 @ 7:30pm, 3/5 @ 7:30pm, 3/21 @ 2:30pm. No show on 2/24 @ 3pm, 3/9 @ 7:30pm, 3/24 @ 7:30pm. CAST (in alphabetical order): Brenda Barrie (Amanda Brackett), Manny Buckley* (Carter Hutch), Peter DeFaria (Nick Moroni), Lyric Sims (Katie Yates), Monica Orozco (Bernadette Perez), and Byron Glenn Willis (BJ Lyles). PRODUCTION TEAM: Keith Huff (playwright), Gary Griffin (director), Joe Schermoly (scenic), Alexander Ridgers (lights), Janice Pytel (costumes), Lindsay Jones* (sound), Mary O’Dowd (props), Ben Zeman (technology consultant), Lindsay Brown (production manager), and Kate Ocker (stage manager). We raise awareness of other non-profit organizations’ great causes through creative collaborations. We’re proud to partner with Northwestern University’s The Family Institute, the Chicago Police Department, and YMCA of Metro Chicago – Bridging the Divide. We continue our “Pink Previews” to donate proceeds to The Lynn Sage Foundation for breast cancer research. Read the incredible critical response to our world premiere SIX CORNERS. Learn about our audience engagement events. Read about our free events for audiences of SIX CORNERS. 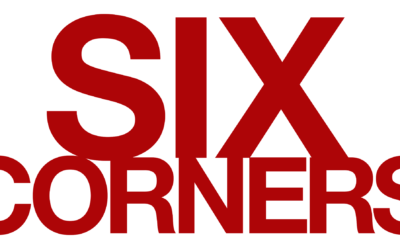 Inside look at SIX CORNERS – read interviews, see designs, and learn more about the production. 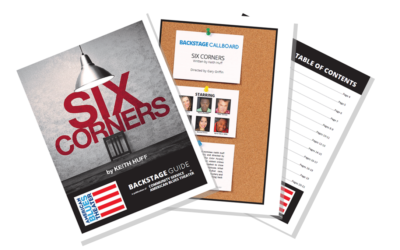 Read the cast and creative team’s biographies for SIX CORNERS. Welcome to American Blues Theater’s 32nd season “The Beat Goes On”. 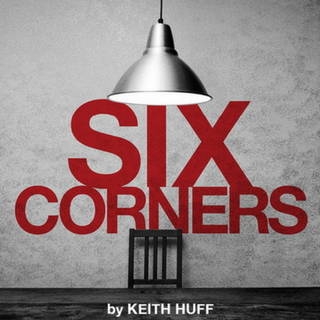 We proudly present the world premiere of Keith Huff’s Six Corners – winner of the esteemed Edgerton Foundation New Play Award. Subscribe to our monthly newsletter for performance updates, special offers, information about our artists, and exclusive events!